18 is one of the most important birthdays we will ever celebrate. 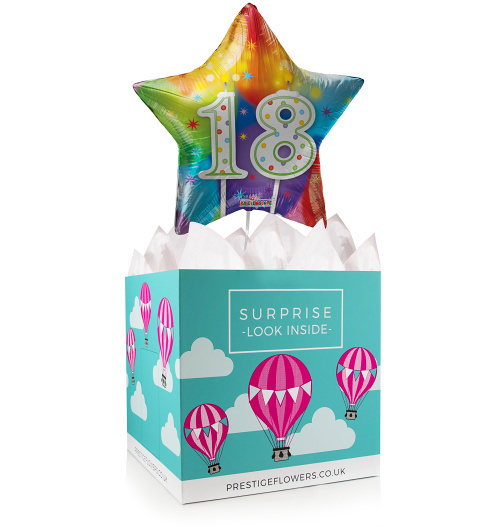 Make it an even more special occasion with this fun 18-inch helium balloon and gift box. Take your pick from various optional extras like chocolates and cake to make this gift complete. We will also be sure to include your personal birthday message.